The two-storey, seven-bedroom Boulton Manor in Russell was constructed in 1894 by Major C. A. Boulton, following the design of his former residence in Ontario. It was constructed with mud bricks which Boulton had learned to make during his military campaigns in Asia, and locally-cut lumber. The grand house was the social centre of the town and hosted many dances, tea parties, and annual balls. In 1912, the house was rebuilt and the bricks were replaced by concrete blocks. Rumours persist that an underground tunnel connects Boulton Manor with the nearby Red House. 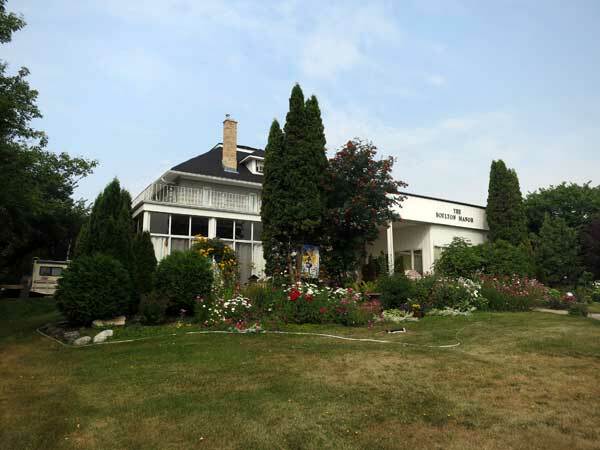 A monument on the grounds of the house was unveiled in 1978 by members of the Fort Garry Horse Regiment in thanks to Jerry Webb, his wife, and their children, who had the preceding year carried out extensive rebuilding of the house. 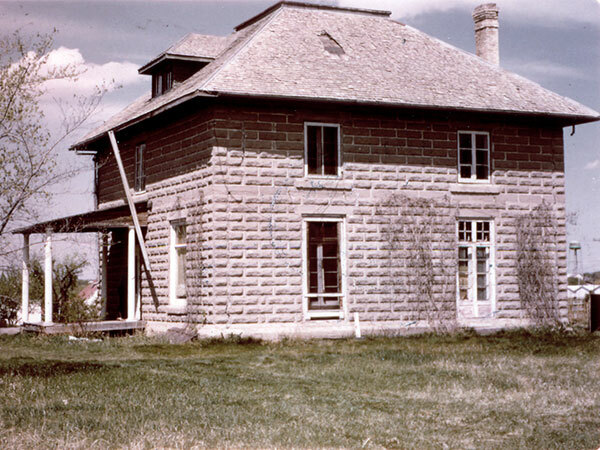 Source: Archives of Manitoba, Russell - Homes #2. Russell Historical Walking Tour, Asessippi Parkland Tourism. We thank Ed Ledohowski for providing additional information used here.